E. Byron Anderson is the Ernest and Bernice Styberg Professor of Worship at Garrett Evangelical Theological Seminary in Evanston, Illinois. 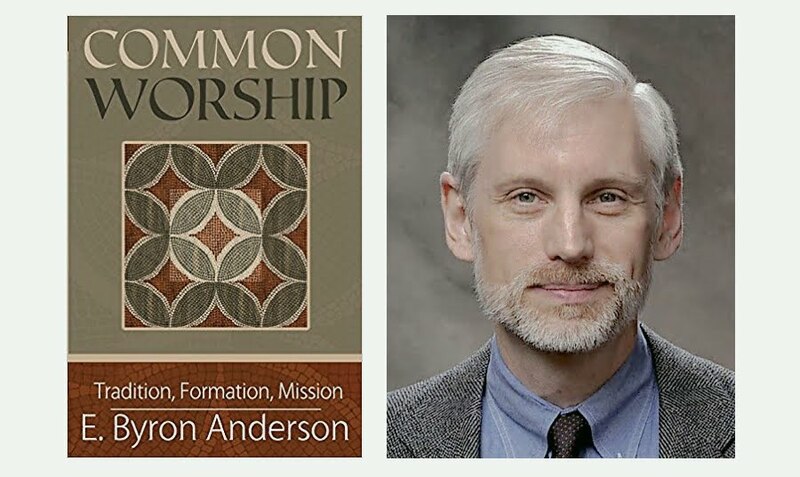 His most recent book Common Worship: Tradition, Formation, Mission explores the various tensions of the Church's worship: traditional vs. contemporary, habit vs. freedom, canon vs. creativity, unity vs. diversity, and mission focused worship vs. congregationally focused worship. However, instead of pitting these concepts against each other, he puts them in conversations that cause pastors, worship leaders, and all Christ followers to ask tough questions about the intention behind how their liturgies are formed and how they are forming their people. In many ways, Dr. Anderson's book reads like a companion to James K.A. Smith's influential Desiring the Kingdom. Both books contribute to the Church's conversations about what exactly is happening when we gather together and challenges us to consider what should be happening. Looks like it might be interesting! Looking forward to the book "Common Worship".